My Austrian journey begins rather unpredictably. 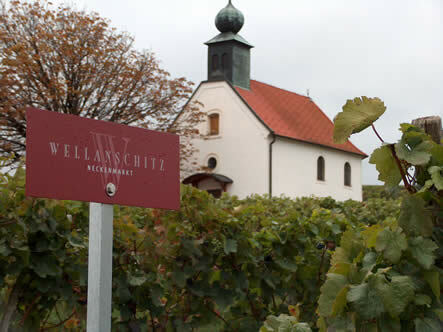 Austria is known best for its whites; in particular Grüner Veltliner and Riesling from the Wachau and its neighbouring regions the Kremstal and Kamptal. 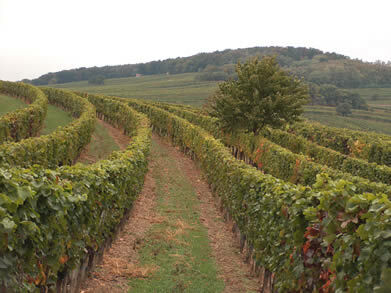 But we’re beginning with Burgenland, which is red wine country, and the Neckenmarkt cooperative. I guess it’s a good starting point: it stops us getting in a rut, zoning in on just one region and style. It reminds us that Austria is actually a reasonably diverse wine country; it makes some serious reds as well as fabulous whites. Neckenmarkt is an old market town that until the late middle ages gained great importance from being located on a trade route stretching from the Baltic to the Mediterranean. Wine has been made here for centuries, but the winemaking scene here assumed its modern shape only after the phylloxera disaster in the late 19th century, when vineyards were replanted with the sorts of varieties seen today. These include the Blaufränkisch, the most important grape of the region, which has its origins here. The cooperative at Neckenmarkt was born under rather difficult circumstances. Abundant harvests in 1966 (THE world cup year) and 1967 (my birth year) resulted in a saturated marketplace and in 1968 growers were being offered less than cost for their grapes. 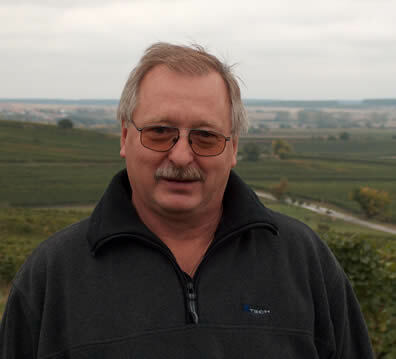 The Mayor of Neckenmarkt, Karl Heincz, persuaded the growers to form a cooperative. In 1968 243 growers joined, and this has now risen to over 300, managing 300 hectares of vineyards. Even the mathematically challenged will realize that the average holding is quite small, and 90% of these growers manage their vineyards on a part-time basis. From 700 000 kilos of grapes in 1968, the co-op processes 2–2.3 million kilos per year, which is about 1% of Austria’s total harvest, and approximately 5% of all Austrian reds. 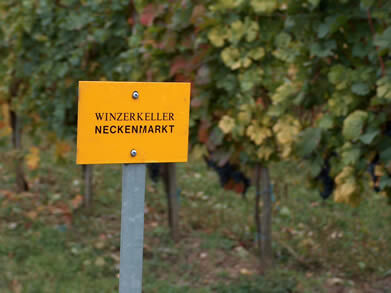 That’s because Neckenmarkt is primarily a red wine operation, with just 2% of its production white. How do you ensure quality winegrowing when you are managing a coop? Neckenmarkt take two approaches. First, they have two employees dedicated to helping out the growers. The growers listen to their advice, because their payment depends on how successful their work is. Second, the payment structure is determined by the sugar ripeness of the grapes. Of course, this would be barmy in the new world, but in classic old world wine regions sugar ripeness is a good proxy for phenolic ripeness (grapes generally only reach high sugar levels when they are physiologically ripe in cooler climates). The figures depend on the vintage, but in 2003 85 oeschle was the average, and they paid 73 c/kilo for this, 5% more for 86 oeschle, 10% more for 87 oeschle and so on. Typical yields are 8.5 Tonnes/hectare, down from about 12 a decade ago. 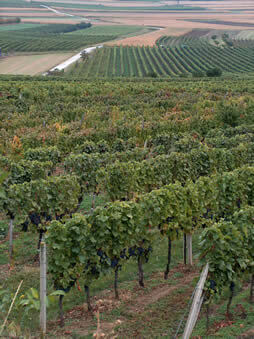 In addition, there has been a novel ‘8-grape program’, which involves about a tenth of the vineyards. Growers signing up to this must have vines aged at least 25 years, ad in the best locations. They agree to reduce yields to between 5 and 6 tons/hectare, for which they receive a supplement of more than €7000. Climate: Central Burgenland is located between the Pannonian (continental, very dry) and Illyric (affected by lows over the Adriatic sea, with more rain) climates. 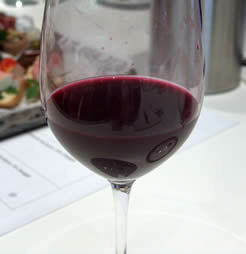 It has long summers and lots of sunshine, which makes it good for red wines. There is some climatic influence from the Neusidler lake. The soils: more gravel and shale makes the wines delicate, lighter and ‘more playful’; more loess makes them fatter and richer. Amazing vivid red/purple colour (see right). Harvested at 90 oeschle on 1 October (tasted on 15th) and pressed on 12th October. Very fresh and intense with bright vivid fruit and lovely smooth tannins. Good concentration and very tasty. Zweigelt ripens early.